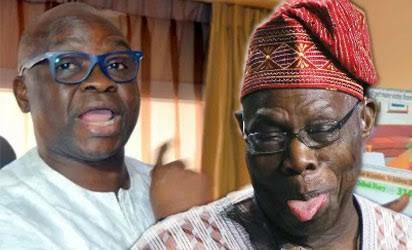 Fayose told The Interview that the scale fell off his eyes when, on a trip with former President Obasanjo to Tripoli, Libya, where Obasanjo had gone to ask Moummar Ghaddafi to support his Third Term bid, the former Libyan president treated Obasanjo like a serf. Recalling the encounter, he said: “It was such a pathetic scenario, so shameful. Obasanjo was speaking rapidly like a parrot. I was shocked beyond words. I never knew Obasanjo would be that humble. Fayose also revealed how, on two major occasions when he went to visit Atiku at the height of Obasanjo’s Third Term bid, security details promptly reported him to the former president, even before he left the venue, leaving him feeling spooky and vulnerable. In a statement that could reverberate beyond Nigeria’s shores, Fayose said he knew, as an insider at the time, that Obasanjo betrayed former Liberian President, Charles Taylor to induce US support for his Third Term bid, after promising Taylor safe haven in Nigeria. He revealed how the current Chairman of the PDP (Makarfi) was sidelined in favour of a sick and stubbornly reluctant Umaru Yar’Adua, and his role in it as chairman of the Presidential Selection Committee. Fayose warned Kalu against “selling” the Igbo down the river “for cheap politics” and blamed President Muhammadu Buhari’s government for making the Indigenous People of Biafra (IPOB) leader, Nnamdi Kanu popular. He also spoke on his attempts to reach Buhari directly, former governor Kayode Fayemi’s relationship with APC leader Bola Tinubu and futile attempt to discourage former governor Peter Odili from accepting Obasanjo’s dummy that he (Odili) was his heir apparent.